Metal Gear auteur Hideo Kojima debuted a new trailer for Death Stranding, his first game since publicly breaking ties last year with long-time producer Konami, at last night’s third annual Game Awards. The teaser itself was pretty typical Kojima fare, which is to say it was a bizarre, moody spectacle, featuring a bunch of crab corpses, meat tanks, and that pop-hit sensation, Creepy-Eyed Mads Mikkelsen And His Gun-Toting Skeleton Crew. The trailer also seemed to feature a cameo from Kojima’s would-be collaborator, director Guillermo Del Toro, as a worried-looking man just trying to get his precious jar-baby across a city suffering from tentacle apocalypse. Del Toro—one of the creative minds behind Kojima’s highly anticipated and now discarded Silent Hills—seemed to confirm his involvement in, or at least support of, Death Stranding last night, tweeting out the footage with a reminder that he’s still thoroughly pissed at Konami over the Silent Hills debacle. 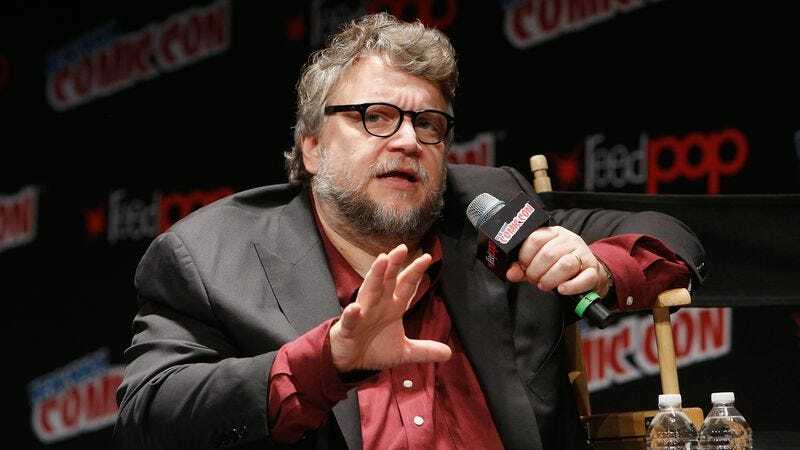 As noted by Polygon, Del Toro is no stranger to having his ambitious projects get disrupted by executives, or to lashing out at them when they do. (He once referred to the death of his Tom Cruise-starring In The Mountains Of Madness as a “horrible miscarriage and there are a lot of scars, and you’re still dangling a piece of placenta.”) For his own part, Kojima simply seemed happy for his friend’s support, although we’ll probably get a glimpse of his true feelings when Death Stranding contains a section where an animate, tentacle-covered Konami logo starts rampaging through the city, smashing babies and literally crushing people’s dreams.